The MCAT is a daunting test. I think I have said this to every one of my students. These students then ask me what is the best way to study and my answer to that really varies student by student. Some students need more structure, a day-to-day agenda. Some students like more flexibility. But what has not varied from student to student is taking practice tests. Having tutored both for the old and new MCAT, I have taken my fair share of tests. Whatever I recommend to the students, I have taken them myself. And I can say that after 40+ tests, they all start to blend together. What I try to tell my students is that you are using practice tests, especially those by other test companies, is don’t sweat your score too much. I have heard a lot of different stories about how many points to add to your score for an EK test to match the real thing, or how many points to take off of a Gold Standard score, or what questions to ignore. And truthfully, adding points, taking away points, these all add to the noise of your already hyper-stressed mental state. Here is where a tutor can really make a difference. The question I get asked most is ‘do I need to know this?’ or ‘will they really test this?’ and I can give the student a well-represented answer, because I have seen many tests, hundreds of passages, and thousands of questions. I have a good sample size of what the AAMC will test and what they won’t. A question on mole rats metabolism from the Kaplan probably won’t appear again and chances are won’t appear on your test but probably the concept of homeostasis (which is what the mole rate question was trying to test but maybe unsuccessfully) will. A good tutor will distill down questions to their essence and let you know what you really need to know so that it doesn’t feel like you are memorizing a bunch of random facts. In this blog, I want to talk to you about some general practice test strategies (Part 1), then my thoughts on the various practice tests on the market (Part 2) and then my final recommendations (Part 3). I have found that doing your studying in two rounds (or even three) works much better than students studying their brains out for months straight and then diving into the practice tests the last month and then realizing that they were not studying as effectively as they could have in the months before. The reason many students do the latter-- that is, study everything as much as they can before taking the practice tests-- is a fear of taking the practice test. I’m just not ready, these students say to me. I don’t want to waste practice questions when I’m not ready. Okay, truth be told, you might never be ‘ready ready’ for the MCAT. Hence why no one has gotten a perfect score on this exam. I am sure you know of people who have scored perfectly on the SAT, the GRE, the GMAT but I bet you don’t know any who has score nowhere near perfect on the MCAT. This is because a perfect score is impossible. You would have to get almost 0 wrong and to get almost 0 wrong, you would have to know the science very well, and also maybe a bit of trivia. Also some questions are just completely subjective. I have seen AAMC verbal questions that go like this: “hypothetically, if the world reached an apocalypse, which of the following professions would you save?” Uh….what? Who wrote this question? Save the doctors I guess since this is a med school exam??? So whenever I hear students tell me that they are not ready to take a practice exam even though I think they are, I tell them to give up this notion of being so ready. You just need to be ready enough and the exams can help you get even more ready. 2. When to start taking practice tests? What I recommend is that whatever time you give yourself to study for this test total, start taking practice tests halfway through. So for example, if you have 6 months to study, start taking practice tests at 3 months. If you have 4 months, start testing at 2 months. If you have 2 months, start at 1 month. I do not recommend tackling this test in 1 month. It is just very hard to do and from the handful of people I have seen do this, it has not gone as well as they had envisioned. For the one or two students this has worked well for (and I mean one or two in my 5 years of tutoring this exam), they studied 12+ hours a day, 7 days a week. They had no life for a month and were perpetually stressed, nervous, anxious, and all in all, not fine. Hence would not recommend, unless you think you have this kind of stamina/mental resilience/no choice but to take it in 1 month. 50-70% of your MCAT score will come from sheer studying. Questions like “what is the first segment of your small intestine” or “what are the two hydraulic forces in your capillaries” or “what is a normal force” can be aced by studying prep books and taking notes. But the last 20-30% of the test is fairly unpredictable. These are the questions that require critical thinking. I.e. “according to the experiment, what conclusions can be drawn or according to the scientists’ hypothesis”, “what would be the LEAST supportive piece of evidence?” See what I mean? The latter two questions rely on your wits and ability to deduce, reason, think. Here is where the MCAT is going to differentiate those who studied very very hard and those who studied very very hard but are also 1) naturally good test takers and 2) good critical thinkers. Studying won’t catch everything. You might think you know the renal system well but when faced with a passage on it, you might realize that you didn’t know it as well as you thought you did. The MCAT knows what you studied and will try its best to pick out certain details that you may have overlooked in your reading. Hence why I recommend students start taking practice tests earlier rather than later. It is actually better to have studied all the content up to 70% (kind of like a round 1 once-over) and then start taking tests to see where your weak points are. Then use the practice tests to reinforce your round 2 targeted and in-depth review. 3. Your first practice test. Taking your first practice exam is like ripping off the Band-Aid. The earlier you do it, the earlier you can see your mistakes and fix them. You might not be ‘ready’ on your first practice exam but by number ten or twelve or twenty, you will be. The score of your first practice test will be bad. This, I think, is for the better. When you start off at a low score, you have more gusto to work up. Sure everyone wants to get that perfect score from the get go, but if your first practice test is perfect, than you have nowhere to go but down from there and that is even more stressful. In sports movies, everyone cheers for the underdog and not the perfect team. Getting a bad score on your first test will put you more in the underdog mentality and will probably drive you harder. Of course, there are some instances I have had, where the students just scores off the charts on the first practice test. And as tutor, I am proud of them and happy they were able to hit such a home run. But then looking over the tests, in all instances, luck played a huge role. The student either got really lucky guessing or got passages that he/she were familiar with. But then this student will bomb the next couple of tests (not so lucky or unfamiliar topics) and get very upset that they feel like they are regressing. In my experiences, a bad first score does more good than bad. You go into your second round of studying careful and not cocky. You feel more humble. And you actually score better on your later tests because you have the mentality that, well it probably won’t be as bad as that first test. And it never is. So how many full lengths exams are out there from each testing company? Before I launch the student into practice test mode, I go through all the possibilities out there. Here are the numbers. The Princeton Review: 1 free, 12 if you the self-paced course. So if you don’t buy the self-paced courses from Kaplan and Princeton Review, you have in total 28.5 tests, which is quite a bit and actually more than most students can do. I will talk more about whether to buy complete Kaplan or Princeton Review packages later. The above list is also ‘ranked’ in order of my preference and likeness to the real thing. AAMC is the one administering and writing the test and so naturally, they are the most similar to the real thing. I put rank in quotes because there is not so much a ranking system as a grouping system. The AAMC materials are the best, hands down. I sort of group the tests into three tiers. Tier 1: The tier to beat, of course. You should do every single practice questions from the AAMC. I also have a lot of AAMC practice test and questions from the old test and will hand select passages that reflect the same material being testing on the new one. Tier 2 is good but hard and every 15 or so questions, you get a throw-away questions, meaning that the answer doesn’t really make any sense and seems even opposite of what you were thinking. There are less tests per company here as compared to Tier 3, but they are better quality. Tier 3 is so so but also hard. I say so so because for Kaplan, Gold Standard and Princeton REview to pump out so many practice tests, the quality is compromised. You either get similar questions or really left field passages that are sort of put there to take up space. There are more throw-out questions in this tier. THis is also the tier than mass amounts of students practice with. THink about how many students Kaplan and Princeton Review recruit. This tier will get you to a decent score like 509, 510 but might not get you to the 515+ score that some students are looking for. Below I provide some brief thoughts on each of the companies. PRO: The real thing. Nothing beats this. Also the current AAMC practice tests out are the same level of difficulty as the real thing. This was not true for the old test so take advantage of it! CON: There are only 2 practice tests out. I think eventually, they will release more but so far, AAMC is very stingy. Also the AAMC explanations are not wonderful. While the answers make sense when you see it, the AAMC does not explain why the other answers are wrong and will spend most of the explanation paragraph on what topic or topic subset, the question was testing, which is really not helpful. PRO: The Examkracker has some good experimental passages, which is great if you are practicing critical thinking. They also test content in a similar way to the AAMC, that is in a passage, there are a couple of good pseudo discrete questions. I really like most of the EK discrete questions. I think they are really on point and tests exactly at the same level as AAMC ones do. LIke the real MCAT, the EK tests will give you lots of experimental figures and won’t ask on some of them. CON: Some explanations are verbatim from their own books and cite specific lectures for you to read. While it makes sense why the Examkracker does this, I find that this can be annoying when the chapters don’t match up with the questions and I end up googling a lot of the explanations just to make sure. PRO: These tests are very hard. Usually students score 5-8 points higher on the real thing than on these. But, take the hard questions with a grain of salt and focus on the fundamental questions. Next Step does ask about everything and their practice tests serve as a good round 2 review method. I.e. if you are weak in the renal system, you will figure that out very quickly with the Next Step. Experimental passages in the Next Step are really hard and convoluted, more so than the real MCAT. The Next step psych sections are great overall. I like them a lot and don’t think they are too hard. Also, the online interface for the Next Step is the closest I have seen to the real test. CON: Some students show very little improvement on them and will have a consistent score from test 1 to test 5. This consistency can be very discouraging. Students feel like they haven’t improved when really they have. The Next Step has many questions that are just hard for the sake of being hard. The wording can be confusing and they will use many words to stay on point, focusing a lot of nitpicky things, like ‘some bacteria’ versus ‘most bacteria’, adverbs and modifiers. The Next Step verbal sections are not great. I sometimes even recommend students to skip them and use old AAMC full-length exams that are readily available by PDF. PRO: I almost put the Berkeley Review in the same category as the Next Step, very hard, sometimes discouraging, but tests everything. Like the Examkracker, it does draw heavily on its own prep books. I usually find that if the student is already doing Next Step tests, they don’t really need to do the Berkeley Review ones. The science sections are the stand outs for Berkley Review. They have hard experimental passages that test critical thinking. CON: The Berkeley Review verbal and psychology and sociology sections are also nothing to write home about. This is probably because they don’t have specific test prep books on these areas, so the questions they ask feel a bit more unstructured. To be honest, I haven’t found a good verbal AAMC mimic in any of the testing companies. For verbal, I strongly recommend you practice with AAMC materials much more than any other. The other testing companies will make you think differently and that could actually be detrimental to your eventual score. The most annoying thing about the Berkeley Review is that you have to fax in or mail in an order form. Then you wait until they process your order. Then they will activate your account but your account is only active for 40 days. I don’t really like the 40-day deadline. Examkracker and Next Step gives you 6 months of access, AAMC gives you 20 tries per test. I’m not sure why Berkley Review does 40 days but it almost requires the student to take all the Berkeley Reviews at once and taking tests from the same company in a row is never a good idea (more on that later). PRO: There are a lot of these tests if you get the self-paced course. I know some Kaplan tutors and these tutors know the best Kaplan tests to take, i.e. Kaplan test 6 is pretty good but Test 11 is not. The Kaplan verbal is not horrendous. Some passages are complete throw-aways but some passages (I would say 75% of them) are not and do test the verbal content fairly. CON: Neither tests have very good experimental passages. Most passages are information based (i.e. long passages of words) and the AAMC is moving towards more experiments. I like the Kaplan tests marginally more than the Princeton Review. First, the Kaplan people are more generous and will let you have 3 tests without purchasing some big package that many students don’t need. Second, the Kaplan interface is a little better. For the Princeton Review, I could not run it successfully on my mac. I had to download a new java, shutdown, restart, and then when that didn’t work, I had to try it on the PC. When that didn’t what, I had to run a firewall into another PC, my work PC. Finally, it worked. But then the free demo test shut up halfway through the exam. Also when I went back to correct the Princeton Review, none of my answers were saved and I had to email the Princeton Review staff for the answers. A few of my students had similar problems setting up this test so I have stopped recommending it. And because you can’t get any of the Princeton Review tests, until you buy a two thousand dollar package, I don’t think it is worth it. In terms of buying huge packages from Kaplan and the Princeton Review, I don’t recommend it unless the student comes to me already with the package bought. I don’t like self-paced packages because while you do have a lot of exams, 10+ in most cases, they are all written by the same company. You see absolutely no diversity in questions and you might even develop some bad habits, such as over-thinking because the Kaplan and Princeton Review questions are so tricky. Even tutors at these companies do not recommend their students take all of the exams. They will recommend a few exams that they think are most similar to the real AAMC and the rest, they advise the student practice with only if they run out of other practice. PRO: Again, lots of tests here and for a cheaper fee than the rest of the above suggestions. They have 8 full-length exams that you can purchase individually for 20 bucks each. If you are tight on budget and want to take many full length tests (not recommended by me but some students really want full length experience), then these tests are the most ‘bang for your buck’. CON: No stand out passages and not the best online interface, though better than Princeton Review. Contrary to what the name suggests, I consider the gold standard more run of the mill. Personally, I only could get through a few of these tests. I was just getting very frustrated with their explanations, which weren’t explanations but were more, the answer is A because A is correct. How many practice tests should I take, and from which companies? After I give my students the above options, I get wide-eyed stares back. So many choices, but which ones? I will then recommend the student take at least 10 exams before test day and use the AAMC plus two other testing companies. The two other companies are usually Next Step and Examkracker. But usually students will want to take more than 10 tests. They want to be as prepared as possible, so then I will have the student take an array, a few Kaplan, a few Gold standards, maybe a Berkeley Review in addition to the other tests I mentioned. The idea here is diversity and seeing as many questions as possible. Seeing more will help with studying, and will also build confidence. Your first practice test should be the AAMC official guide half test. It is best if you start your first test with the official questions. Many students feel the need to ‘save’ official questions to the end and I think this is a huge mistake. You need to see what the official questions are like so that you have a standard to compare with when you get really hard Next Step passages. Students need to be their own gauges. If you don’t see official questions until the month of, you might be really discouraged trudging your way through Next Step, thinking that the AAMC will only be worse. Then the 2 other AAMC tests you can space out. The last practice test you do should be an AAMC official test. By bookending your practice test marathon with official questions, you will be able to calibrate yourself. 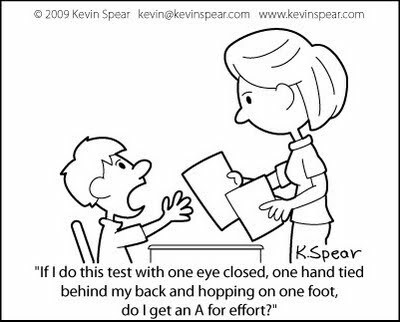 Then going into the real test, you will be in the official questions mindset. The key to remember is this: you should not do all the tests from the same testing company in a row. This will bias your mindset to that of the testing company and as I have said before, no testing company mimics the official test exactly. So try to vary your practice and alternate which company’s test you do that week. Many students want to sit down and do the whole tests. But this can be a drag if you are going to take 10+ tests. What I recommend is that you break each practice test over 2 days, so 2 sections per day and do it that way. For the 2 official AAMC tests, sit the whole way through, but for the others, split it up. I say this because on test day, even if you think you will be tired, you will not be that tired. You will have adrenalin and your nerves will be jumpier than normal. You might be a bit tired but since test day is race day, you will obviously give it your all. If you have ever done sports, there is a reason that many athletes perform their best during races. It's just a whole different environment and energy level. In short, here are my general rules for testing etiquette. If you are going to take 10 tests, do 3 of them full length. These 3 would include the official half test, and the 2 other official tests. Everything else split up. I would also not take the first 3-4 tests timed. Then maybe time test 4, and from test 5-10, you definitely want to do timed. I usually don’t want students to worry about timing at the beginning as they are going through their round two of preparations. Both the AAMC tests, except for the first half test, should be timed. I have taken a lot of practice tests and not just for the MCAT. From the SAT, ACT, GMAT, MCAT, and GRE, I have probably take hundreds of practice test. And how I feel after each practice test is the same. Ergh, I don’t want to go over this. I don’t want to review any of this. That is how every student and how you will feel as you go through the MCAT, especially the MCAT, because it is such a mentally draining test. A great tutor will try to make the experience less burdensome. Of course he/she will still go over the exam with you, but he/she, ideally, will have gone through the exam before you have and then tell you some key take away points. For my students, after each of their practice exams, I will have a list of things that they need to continue working on. Maybe Mary needs to study the biochemistry pathways a bit more, specifically the Pentose Phosphate Pathway. Maybe Eric should review circuits again and how that relates to electrochemistry. Maybe Steve needs to pay attention to figures and graphs, especially the axes of these figures. Once these big picture concepts are out of the way, we look at the test in detail. I do this because I don’t want the student to get lost in the weeds and lose sight of the end goal, that is to do well on test day and to have a good mastery of science topics. You, as the student, should be responsible for the studying and the materials. You should not have to stress about the other stuff, like whether what you’re studying is what you’res supposed to be studying, or whether this test is a good mimic of the real thing, or whether you should be responsible for this tiny trivial fact. A good tutor will have a plan after each practice test so that you don’t need to stress about it. In my experiences, setting up the plan is half the battle and once the plan is set, everything else falls into place. Want to know more about Weike's extensive experience as a tutor? Interested in working with her?